Working from home has plenty of perks, but there are also big challenges. One of those challenges is finding balance between having enough space to do your job, creating storage and making sure everything you need and use is in sight and within reach. 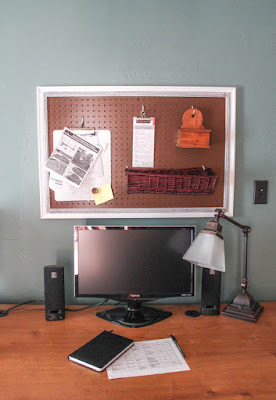 I work from home and, until recently, had a bulletin board hanging on the wall behind my monitor. I like to have notes and important papers right where I can see and access them. It’s my own personal filing system, but it does get messy. 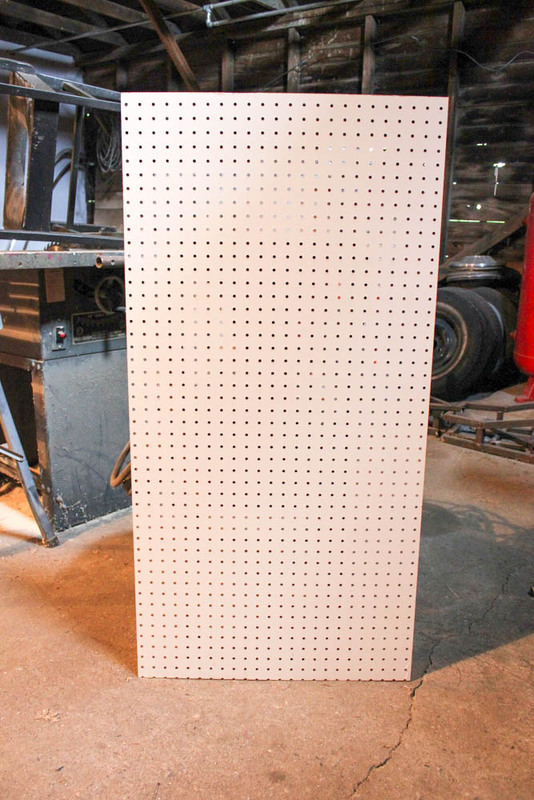 Searching for a neater solution, I switched to a pegboard. 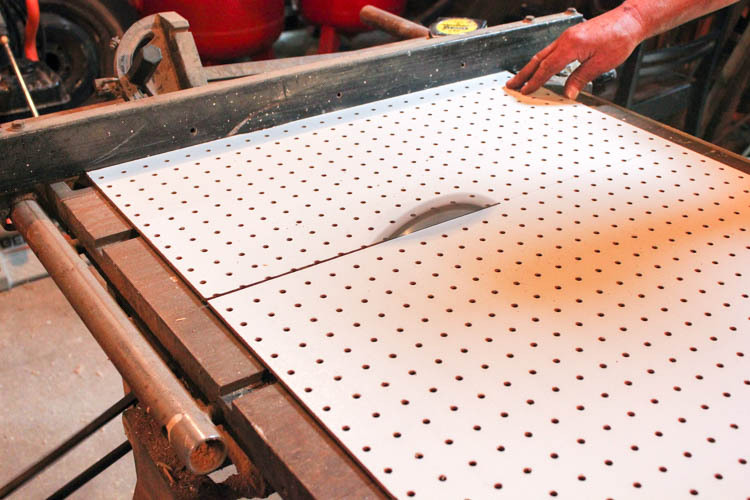 But this was not Julia Child’s utilitarian pegboard. (She outlined her pots and pans on a kitchen pegboard!) This one has color, style and personality. 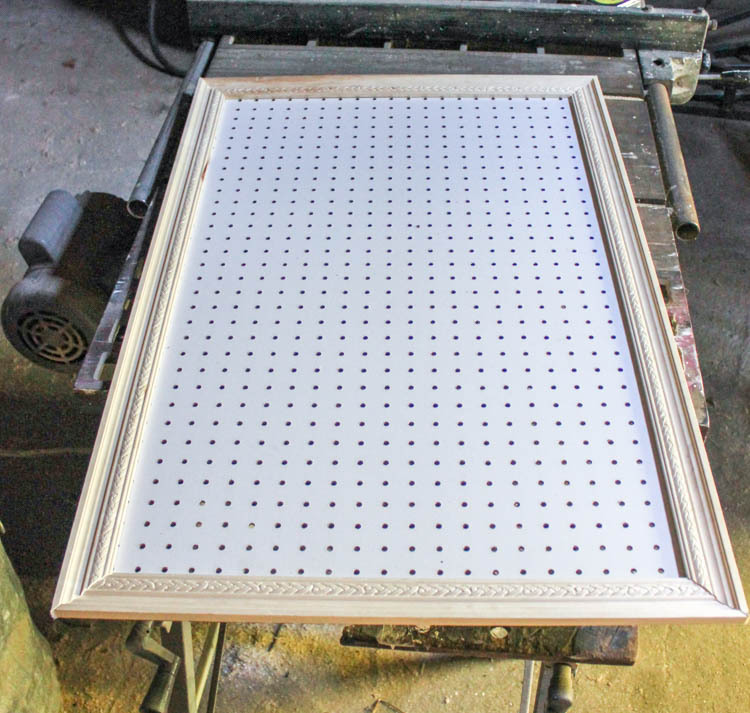 To make my own pegboard, I first purchased a 2- by 4-foot piece of pegboard and two 8-ft. lengths of decorative moulding. Since 4-ft. end of the pegboard was a little too big, I cut off a 1-ft. section using a table saw. 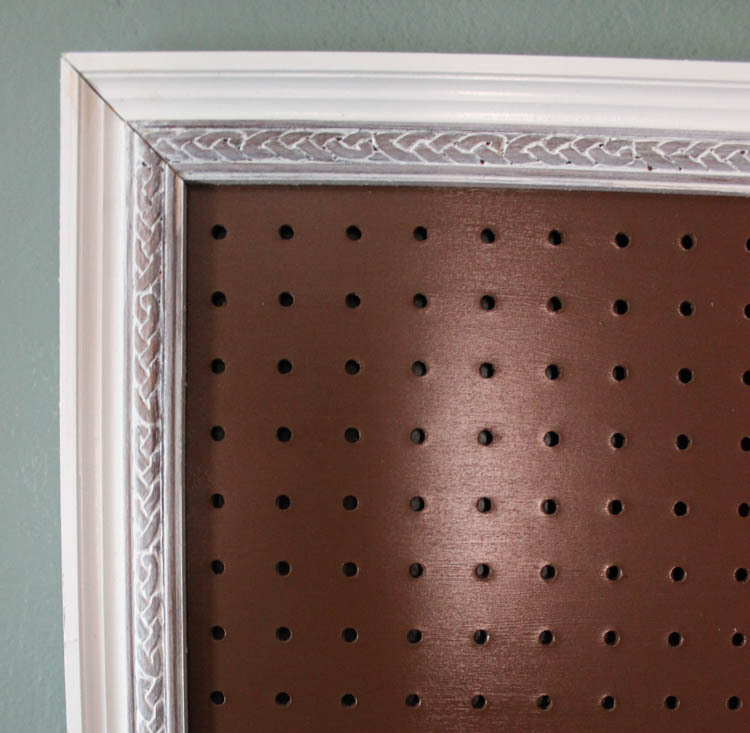 With a miter saw, I made a frame from the decorative moulding by cutting 45 degree angles at the corners. After I painted the board and moulding, I glued the frame to the front of the pegboard, lining up the edges with wood glue. The pegboard is available in a white finish, but as an interior designer, I’m not one to settle for basic white. A dark frame paired with a lighter color board would be the more traditional route to go, but I decided to do the opposite. Since brown is the accent color in my office, the choice was a no-brainer. I also wanted to highlight the carved braid detail on the trim. 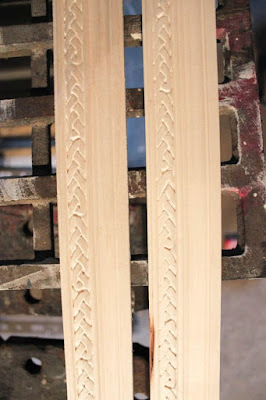 I painted just the braid detail brown, then topped it with off-white and wiped off the excess paint before it dried so the brown peeks through. It only took a couple coats of acrylic latex paint in a satin finish to end up with a high-end frame for very little money! 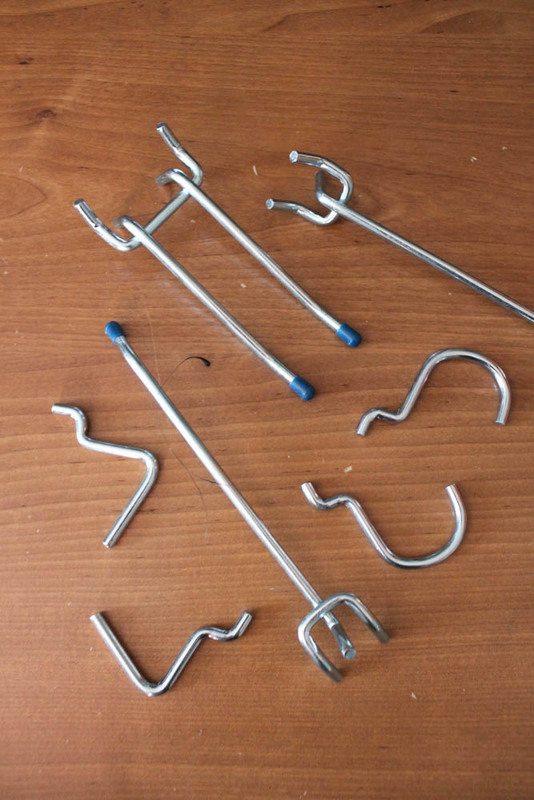 The last step is to hang up your office papers and organizers. 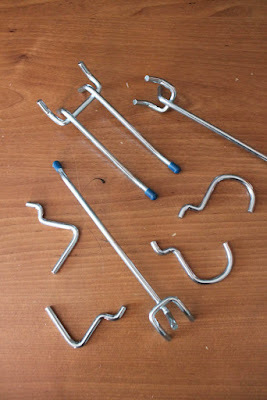 Pegboard hooks come in many lengths and sizes. Use the style that works with items you plan to hang. Choose organizational items that suit your needs: baskets, clips, boxes, clipboards, wall calendar, etc. What I love about a pegboard wall is everything can be organized and has a specific place. Julia Child was really on to something! Merri Cvetan is a Wisconsin interior designer who has a sharp eye for color design and decor. 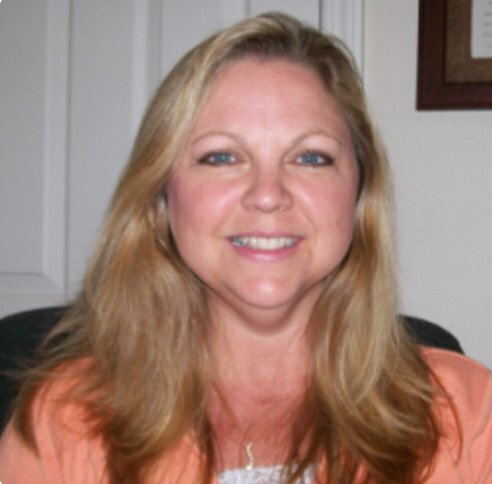 Merri is also an avid home project practitioner and writes on both decor and DIY projects for Home Depot. You can research a large selection of paint and color information on the Home Depot website. Copyright © 2016 by Merri Cvetan. All rights reserved.